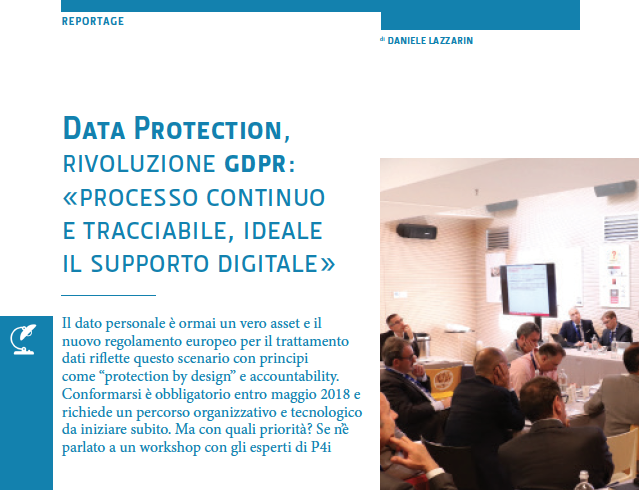 Personal data is now a real asset and the new General Data Protection Regulation reflects this scenario with principles such as “protection by design” and accountability. Compliance is mandatory by May 2018 and requires an organizational and technological path to begin right away. But with what priorities? The matter has been discussed during the last Digital Performance Lab with P4i experts.